The TED conferences have helped spread provocative and useful ideas around the globe, including ideas about how to shoot conferences. Anyone who’s tried to record video of a conference knows it isn’t easy. Lighting that looks good in the room looks awful on screen, the stage is often too low or nonexistent, and there are lots of pauses in the conversation that give viewers a chance to tune out. Recordings of TED talks, however, are TV quality. They’re more than watchable -- they’re great. 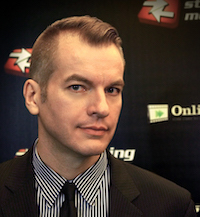 The lighting, sound, editing, and, of course, the ideas make them the high water mark in conference video. As TED talks spread around the world, so do TED’s video requirements. TEDx is essentially the franchising of TED, a way for different groups to hold their own TED events. That “x” means the event is independently organized, not something produced by the main TED organization. While a TEDx event is independent, the organizers still have to follow the TED guidelines to use the name. Among those guidelines: TEDx organizers are asked to visit a U.S. TED conference first to see how those conferences put together. After that, the organizer becomes licensed and can stage a TEDx event in the region or city his or her license covers. A TEDx organizer’s first step is choosing a theme for the event. The organizer also needs to raise the funds to stage the event, as TED HQ doesn’t provide funding. Sponsors are essential. TEDx events need to be recorded, and that recording needs to proceed according to guidelines. Ravinol Chambers, the founder of Be Inspired Films, based in London and Birmingham, England, has a long history with TEDx conferences. His company has filmed several conferences: one set in the U.K. Parliament; TEDxEastEnd, about society beyond borders; TEDxNewham, about cities of the future; and TEDxAlbertopolis, at the Royal Albert Hall, about the coming together or art and science. Chambers’ company lowers its fee for TEDx events, he notes, because he finds the work rewarding. Be Inspired Films started 5 years ago, and was born from Chambers’s work with charities and social enterprises. An MBA, Chambers has a business side and is interested in venture philanthropy. His first films, shot in Africa in 1995 and England in 2004, were simply records of projects he ran that tried to make a difference. Ujumbe wa Mungu -- Swahili for “God’s message” -- documented a group of traveling Hare Krishnas putting on spiritual and cultural festivals throughout East Africa. Learning to Succeed documented the work of a mentoring program, and showed the value in giving providing positive role models for at-risk students. Through his movies, Ravinol discovered that video has power. His works encouraged people to join his causes and helped secure funding. Wanting to take that even further, he and some filmmaker friends founded Be Inspired Films. It was Be Inspired’s work on socially responsible projects that led to its first TEDx commission. Once word got out that the company could produce to the TEDx video guidelines, new projects followed. Chambers says it’s his company’s commitment to video quality that set it apart. TEDx production rules start with the idents, the quick identifying clips that introduce each video. TED has the same rigorous guidelines in how TEDx videos are shared online. Not every TEDx event has a massive budget to work with. In fact, big budgets are probably the exception. 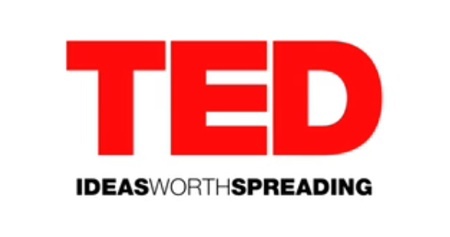 To help spread those “ideas worth spreading,” TED gives leeway in how events are shot. Be Inspired Films brings as much quality as it can. Educational site lets teachers combine online video with lessons, then share them with the world. The prize is attention for ten ads that elevate the craft and engage viewers.